Art matters. But why? A podcast series investigating the elements needed for artistic expression in an urgent political climate. We talk. And listen. The prequel to Season 1 premieres December 4, 2016. Season 1 proper premieres January 22, 2017. Vangeline, Artistic Director of Vangeline Theater and founder of the New York Butoh Institute discusses the importance of balance, impact, and effort. Her recent piece Wake Up and Smell the Coffee used upwards of 1000 used coffee cups collected around New York City to address the waste we generate and our loss of effort in the need to address the issue. EXTRA: EFFORT by ELEMENTAL is licensed under a Creative Commons License. Listen to Environmental Scientist and activist Paul Barlett (CUNY) speak about Art and Activism, our upcoming show Wake Up and Smell the Coffee, Vangeline Theater, the Living Theater, and learn how butoh and coffee trash connect. Listen to Vangeline talk about her next show, Wake Up and Smell the Coffee, and learn how butoh and coffee trash connect. Americans love coffee. But our love affair with coffee comes at a cost. Most people think these disposable coffee cups are recyclable. They're wrong.Would it surprise you that it actually has lots of plastic actually in the lining of the cup? Coffee cups don't biodegrade, and they're piling up in landfill where they become a major pollution hazard. A lot of plastic ends up in our water sources. 50 billion paper cups end in U.S. landfills every year because they can't be recycled. This is a WAKE UP CALL FOR COFFEE LOVERS. So at Vangeline Theater, we are starting a campaign and show called Wake Up and Smell The Coffee. We went around New York and collected 1000 used cups from the garbage. And we will dance in a set made of these cups April 20-22nd at Triskelion Arts. Join us and WAKE UP - BUY A REUSABLE MUG TODAY. And come see our show next April! 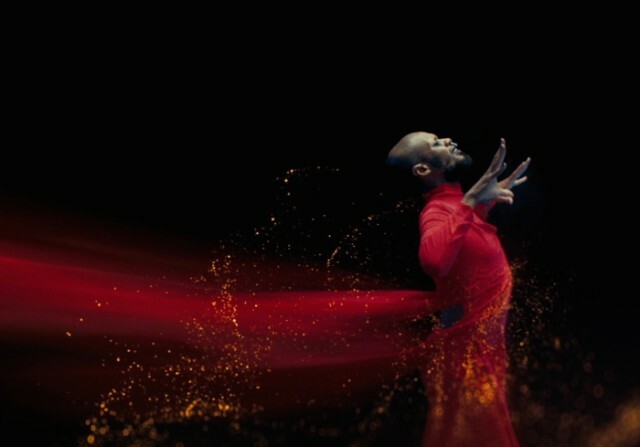 We are incredibly proud to share with you this new music video featuring an artist who will take the world by storm: Serpentwithfeet. Vangeline was thrilled to choreograph this music video "four ethers" and coach this very talented artist. Our friend Timothy Saccenti directed this very beautiful and movingwork. "serpentwithfeet was already named one of the Best New Artists Of 2016 on the strength of his enthralling blisters EP, a stunning work that blended elements of R&B, gospel, chamber-pop, and electronic music into one dark, unclassifiable mist. And now he’s given that sound some visuals, teaming up with directors Timothy Saccenti and Alvin Cruz, aka CRUDO, to make a music video for EP track “four ethers” inspired by the Japanese avant-garde dance form of Butoh. Watch below. BOTTOM LINE: Vangeline's virtuosic solo performance will make your skin crawl in the best way possible, conjuring the ghosts of tortured geniuses Beethoven and Tatsumi Hijikata and bringing Butoh into the 21st century with technical marvels and masterful skill. The analogy between the film and Butoh Beethoven seems perfect: an all-white aesthetic coupled with a revolting, crawling, insectile feel and a complex critique of violence and the disconnect of the modern world, with all this ickiness set to Beethoven’s gorgeous, melodious symphonies. And Vangeline herself has a stated goal: to “bring Butoh into the 21st century” through a connection to film aesthetics, technology, and the trials of the modern age. But it seems that perhaps Vangeline knows something the protagonist of Kubrick’s film misses: that a piece of music does far more than simply exist, and can be violent, glorious, and wracked with history, a secret the Butoh form of dance knows well. As the postscript “Admiring Tatsumi Hijikata” suggests, Vangeline conjures the ghost of one of the originators of Butoh, who helped to found the discipline in the wake of World War II and the bombing of Hiroshima. Living in this aftermath, Hijikata’s dance form conjures the spectral realm of suffering to explore the darkness within. Butoh dance is described as much by its absence as anything, and Vangeline follows the path of darkness in dancing the absence of these two ghostly, larger-than-life figures. Built from emptiness, darkness, and creepiness, Butoh Beethoven admires Beethoven and Hijikata by simmering in the hole their legacy leaves behind. In the first act, Vangeline enters a dark stage with a pulsating, siren-like heart of light, strobing through the darkness for Hitchcock-creepy stage pictures. With the signature interminable slowness of Butoh movement, the piece transitions into Vangeline, an LED conductor’s baton, and infinite silence. As the lights come up the piece transitions into Beethoven’s "Fifth Symphony," as Vangeline conjures the spirit of Ludwig Van himself in a corpselike, tortured grotesque form. The figure proceeds to conduct the orchestra through the first movement, in fitful and captivating moves, though it is difficult to tell who is conducting who as Vangeline both initiates and responds to the musical cue, her face twitching through expressions equal parts orgasmic and agonized. The soundscape is more than just the "Fifth Symphony" though, incorporating the coughs and shuffling of a recorded audience that brings the music back down to Earth in humbling Butoh fashion. The soundscapes merge the everyday with the epic, echoing the Butoh form’s focus on bringing the movement of ordinary labor, pain, and ugliness onto the stage. Todd Thomas’ costume hangs with endless shirtsleeves, behaving almost like a second conductor as Vangeline swings in wide arcs, perhaps taking an anachronistic jab at the role of the conductor’s hands. The lighting effects are truly stunning, featuring clever use of LED props and costumes that enable the body to act as light in fascinating and innovative ways. In Act II, "Eclipse," Vangeline becomes a ghostly harbinger of the future, bringing light and darkness together to the world. The surprising co-star here is the costume and stage design. Tilen Sepic and French design company LumiGram collaborate beautifully to create the out-of-this-world stage pictures of Act II, where Vangeline herself is the only light onstage. It is in this piece especially that Vangeline’s homage to Hijikata merges with the trials of the 21st century. In slow, almost traditional movements, the figure fills with fiber optics as the sounds of communication swirl around, making the endless speed of the digital into a slow-moving flesh as Vangeline presents her Eclipse. A being of pure light and time, Eclipse is a trance-like exploration of the tension between slowness and infinite speed. Watching Vangeline undergo these slow, rapt transformations, it is easy to forget how incredibly physically demanding this movement can be, and she has the control and poise of a true master of Butoh in this 60-minute feat of solo endurance. She is elegant in her ugliness and redemptive in her pain, and the effect is transforming. Butoh Beethoven is a difficult, weird, and uncomfortable piece to watch, but for precisely that reason it is incredibly moving and powerful. It is clear that Vangeline is an artist who knows the darkness of Butoh well, and has the incredible skill to make that darkness dance. Butoh Beetoven with Vangeline is now featuring "Chanson D' Automne" interpreted by American Singer Kesang Marstrand, born in Woodstock, New York, to a Danish mother and Tibetan father. Kesang is best known for the single "Tibet Will Be Free" that she wrote after March 2008 riot in Tibet, in support of the non-violent resistance of the Tibetan people, and for her debut album, Bodega Rose, which was released November 21, 2008. We are thrilled to share this NEW OUTSTANDING REVIEW by Claire Palmer in the LEGENDARY INTERNATIONAL TIMES- The Newspaper of Resistance - about "Project Godie" in Newcastle (UK). Vangeline had to the pleasure to dance BUTOH as well as choreograph/direct this project presented by Surface Area DanceTheatre. "electric...a psychological confrontation...deeply ominous and unnerving...Hypnotising...sensationally terrifying." "Western cultural references could be the witches in Macbeth, Baudelaire’s Les Fleurs du Mal, Lindsay Kemp’s radical mime/dance show Flowers in the 1970s, or Stanley Kubrick’s Eyes Wide Shut. But even with this cache of cultural strangeness under your belt, nothing quite prepares you for the sheer thrill and terror inflicted by the barely perceptible advance of the dancers." Again congratulations to Surface Area DanceTheatre, Nicole Vivien Watson, Molly Procter, Trans/Human, Adam Denton, Luke Twyman, Katerina Dipla, Aaron Guy, Paul Miller, Louise Gregory, Lucy Emma Nichol, and Vangeline. What Are the Creative Climate Awards? Human Impacts Institute's Creative Climate Awards use the creative process as a tool to inspire audiences to explore the consequences of their actions, think critically about pressing issues, and to make the environment personal. These events hope to inspire positive action around the challenges posed by climate change. The Creative Climate Awards include an opening ceremony on Tuesday September 27th from 6:30-8:30pm followed by a month long exhibition on 42nd Street, Manhattan. Included in the Creative Climate Awards are paintings, drawings, instilations, music, dances, and 3 film screnings. The Creative Climate Awards closing ceremony will occur on Thursday October 27th and will have a Halloween theme. Vangeline Theater was select to compete for this award and will present a site specific adaptation of our Eco-Friendly Butoh piece WAKE UP AND SMELL THE COFFEE. Vangeline Theater seeks to increase environmental awareness in New York and nationally, resulting in a positive impact on our ecosystem. Teaser Performance: at the opening of the exhibition at the Taipei Economic and Cultural Office on Thursday, September 27th, between 6:30 and 8:30pm. Taipei Economic and Cultural Office on Thursday, September 27th, between 6:30 and 8:30pm. Vangeline Theater is pioneering a Green initiative called "WAKE UP AND SMELL THE COFFEE"- Butoh for Waste Prevention- Reducing Coffee Trash in New York. In this Vangeline Theater Butoh ensemble piece, Vangeline Theater will dance in a set made of 1000 used disposable coffee cups to illustrate how much non recyclable waste our society generates. Audiences are invited to buy reusable cups and commit to being part of a positive change for our community. Currently, Americans are responsible for a staggering 58% of the paper cup consumption in the world. NYC counts 212 Starbucks, 454 Dunkin Donuts, and 974 other coffee shops for a total of 1,700 coffee shops within the five boroughs. This results in a daily mountain of non-recyclable coffee cup trash, which, for the most part, ends-up in a landfill. There are 4100 coffee shops in the Tri-State area, which represents an estimated 14 million cups New York will generate over the next 10 years. The paper cups used at coffee shops across NYC are laminated with a plastic resin, polyethylene, which helps keep beverages warm and prevents leaking but also prevents the cup from being recycled. Once in a landfill, the paper begins to decompose, releasing methane, a greenhouse gas with 23 times the heat-trapping power of carbon dioxide. This issue is directly linked to the threat of global warming. Let's clean up our act! photos courtesy of Michael Blase.